Stay in sync with the latest trends by wearing this kurta brought to your by Stop. 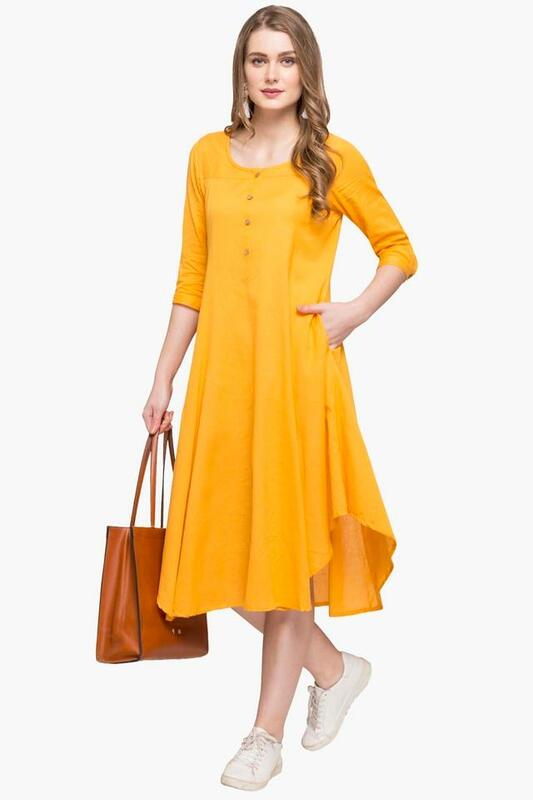 It comes with a solid pattern, which makes it look fashionable, while the round neck and the three quarter sleeves add to its design. 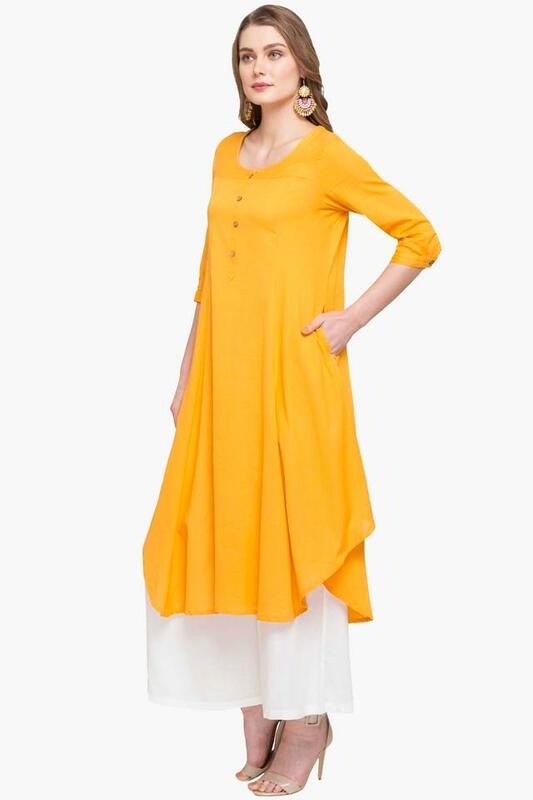 Besides, the use of a good quality fabric ensures that you stay comfortable all day long. 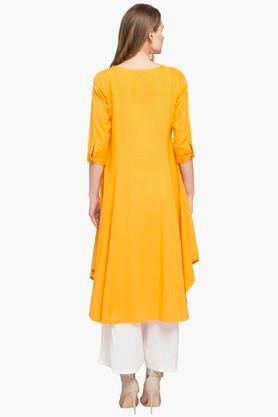 Twist your style statement by wearing this kurta, which has been tailored to perfection. 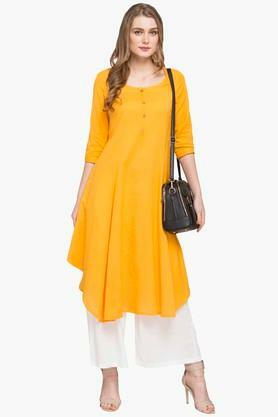 Club it with a pair of palazzo pants and slip on sandals to complete your casual look.